The Patriots have been taking full advantage of an easy divisional schedule over the past couple weeks. This time around, they're facing the Bills in Buffalo. Tom Brady is a lock-and-load play, especially after throwing four TDs yesterday. While he threw for only 227 yards thanks to New England's run game, he's still a high-end option and should rebound in yardage terms this week. Tyron Taylor, meanwhile, hasn't cracked 200 yards passing or 2 passing TDs in three weeks. Against this Pats defense, he's simply not an option. If you have Dion Lewis, you nearly have to start him at this point. He's been tearing it up the past few weeks, and all signs point to the Pats leaning heavily on him again this week despite the team's offensive line injuries. 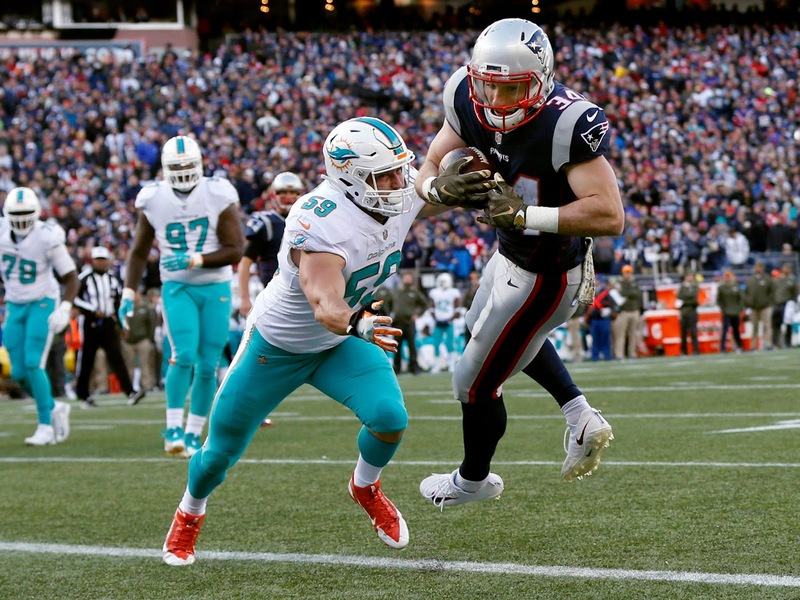 Rex Burkhead, while still intriguing in PPR leagues, is more TD-dependent at this point. He's a solid flex in PPR formats or in m much deeper leagues. Those are the only two real fantasy options in the Pats backfield at this point. While LeSean McCoy had a subpar game on the ground in KC, recording just 49 yards despite carrying the rock 22 times, he saved some value by chipping in 30 receiving yards on 4 catches. He should be started in most all leagues, unless you have a superteam and can afford to let him ride the pine based on his matchup alone. Otherwise, don't feel worried about keeping him in your lineup. By and large, Danny Amendola and Brandin Cooks have impressed without Chris Hogan in the lineup. They'll have to continue to do so once again this week. Cooks is a solid WR1 or strong WR2, while Amendola merits flex consideration in a pinch. With new acquisition Philip Dorsett failing to contribute much, the pair will have to carry the passing attack. That should lead to a big day for Cooks, who is looking more and more comfortable with Tom Brady as the weeks go on. Buffalo is also dealing with an injured star--Kelvin Benjamin--at the wideout spot. While rookie Zay Jones should be on your radar thanks to his TD last week, neither him nor Matthews managed to eclipse 35 receiving yards--and that's before going up against Malcolm Butler and Stephon Gilmore. As with most of this Bill team, they shouldn't be options this week unless you're desperate. It's safe to say Rob Gronkowski wasn't quiet last week. 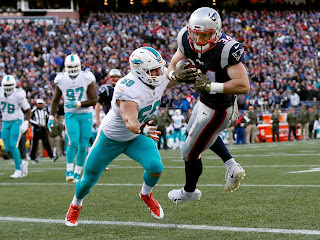 The big tight end scored a pair of TDs and thoroughly dominated an overmatched Miami defense. If you have him, he should be in your lineup again (duh). The Bills' Charles Clay, meanwhile, has finally started to become a part of the team's passing game. 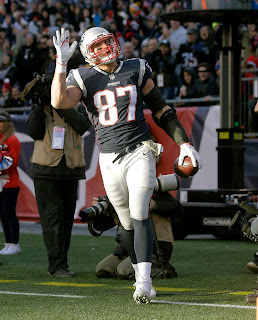 I wouldn't look for a big day (or even a startable one) but if he can somehow catch a TD pass he would be a fine play. 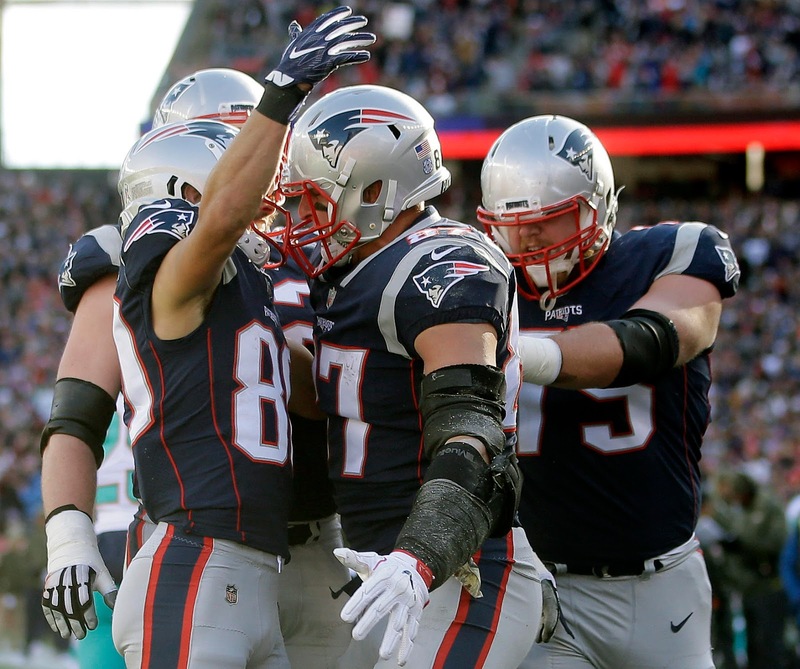 The Patriots are shutting down their opposition on defense--their seven-game streak without allowing over 17 points is already the NFL's fourth-longest since 2010, and it shows no signs of ending anytime soon. They should be a good streaming option against this Bills O. And, as usual, don't trust the Bills defense when they're playing Tom Brady. Just a rule of thumb. For kickers, Stephen Gostkowski is high-quality, and Steven Hauschka is decent--while both are generally accurate kickers, the difference in their respective offenses creates a large gap in their fantasy values.